The Iowa City Wargaming Confederation had its roots in the midwestern wargaming tradition. John Chalupsky, the group's treasurer, had been a member of the International Federation of Wargaming before it collapsed in 1973. But Dungeons & Dragons clearly captivated them now. One devotee talks about how the referee "can modify the rules to suit his purposes," another struggles to explain the appeal: "You have to play it to understand it." Perrin's article mentions that she has competition: "the group puts out its own newspaper... which carries articles about the intricacies of Dungeons & Dragons and other games." Although editorship rotated over the years, this surely refers to their early fanzine, the Dungeon Master, which was first published in 1976. 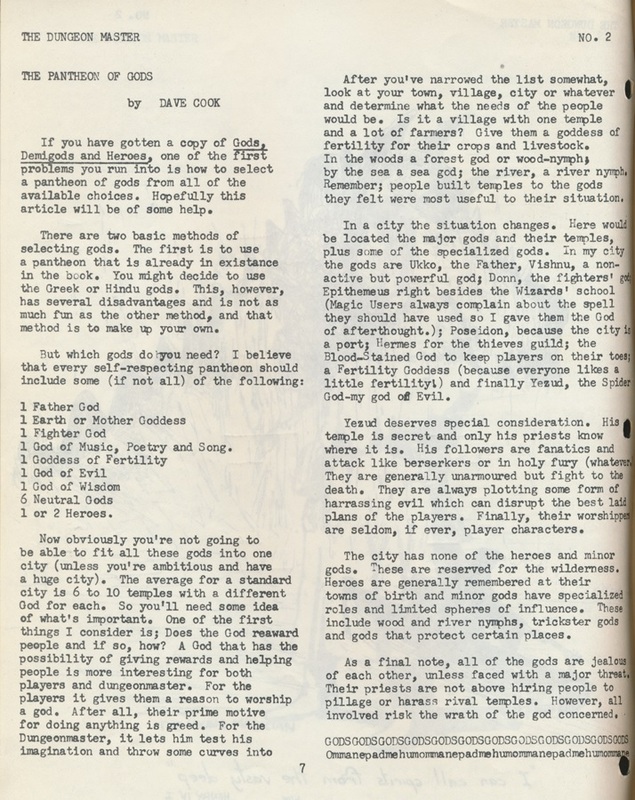 This may be the earliest published contribution to D&D by "Zeb" Cook, lead designer of second edition Dungeons & Dragons, innumerable first edition modules, and a driving force behind Star Frontiers as well as many of TSR's other early successes. 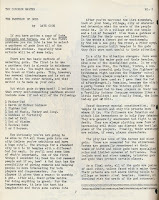 The ICWC was eager to contribute to D&D, and some of their homebrew encounter tables and classes were reprinted in issue "N" of the Judges Guild Journal. 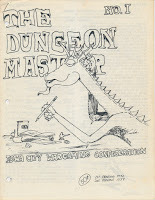 This eagerness eventually caught the attention of TSR, who expressed some reservations about the use of copyrighted material in the Dungeon Master, as we gather from the profuse apology in the third issue. 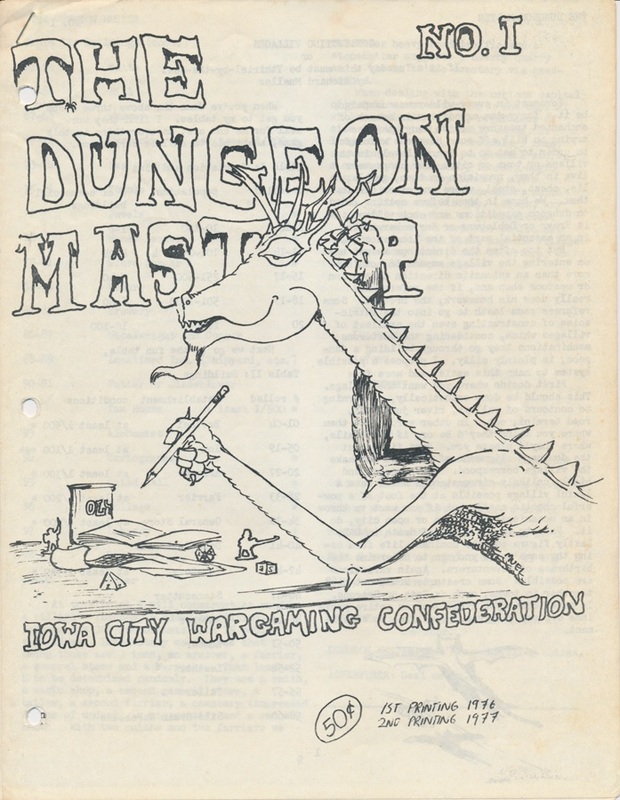 Both the Iowa City Press-Citizen and the Dungeon Master further mention John Kisner, who typed the first issue of the Dungeon Master personally. By one year into the publication of the Dungeon Master, Kisner served as "current El Presidente Supremo"of the ICWC and his self-published game, Crows & Owls, could be ordered through the Dungeon Master for $6. Incidentally, the ICWC by that sixth issue proudly advertised itself to be "those weird people with the funny dice" that Marlene Perrin would encounter soon thereafter. Whoa! I was in grad school at Iowa for two years in the 90s, and I spotted an undergrad gaming session in that very building while waiting in line for a movie. I wonder if those guys knew how far back it went?